Groundbreaking ceremony for the first overseas new factory of Prinx Chengshan - News - PRINX Chengshan(Shandong) Tire Co., Ltd.
On March 31, 2019, Prinx Chengshan held a groundbreaking ceremony for the new plant of Prinx Chengshan Thailand at Eastern Seaboard Industrial Zone WHA EISE 3 (Chonburi), Thailand. This world-class new plant is expected to be commissioned in mid-2020. By then, it will further consolidate and expand Prinx Chengshan's global production capacity, enhance its international competitiveness, enhance its product brand image and influence, and thus better meet the needs of overseas customers. Prinx Chengshan was founded in 1976 and successfully listed on the main board of the Hong Kong Stock Exchange in October 2018. The plant will adopt the tire industry's leading design philosophy and be designed with AI manufacturing standards. The initial stage of the plant is expected to invest nearly $300 million for the construction of infrastructure and annual production line of 4 million semi-steel radial tires (PCR) and 800,000 all-steel radial tire (TBR). “The establishment of the first overseas production base in WHA ESIE 3 in Thailand is a major step for the expansion of Prinx Chengshan” said Chairman of the Board of Directors of Prinx Chengshan (Cayman) Holdings Co., Ltd. and Chairman of the Board of Prinx Chengshan (Shandong) Tire Co., Ltd. “Prinx Chengshan has a 43-year history of development and has always adhered to the global development strategy. It was listed in Hong Kong in 2018 and is in line with international capital. The Thai production base is an important step towards the international development for Prinx Chengshan, and it is also the first tire production base of overseas investment." He said that "Thailand is an important global free trade country and original country of natural rubber, and is the largest automobile production center in ASEAN. The development of automobiles and related industries is very fast and the transportation network is quite developed. Investment in Thailand is not only Prinx Chengshan's important measures to integrate resources and radiate to the world, but also an important step in forging Prinx Chengshan's internationalized brand. It is also a favorable exploration to deepen the good-neighborly and friendly relations between China and Thailand, and promote the friendly economic exchanges between China and Thailand." David R. Nardone, Executive Director of WHA Industrial Development PLC, Wang Yifei, Chairman of China State Construction Engineering (Thailand) Co., Ltd., Mr. Liu Qing, Executive Director of China State Construction International Engineering Co., Ltd., and Li Hong, Assistant General Manager of China Chemical Industry Guilin Engineering Co., Ltd. Chirada Bumrungvej, deputy manager of the Transmission Systems Engineering Service Department of the Thai Power Authority (Bangkok), and Wu Lin, Vice President of the Bank of China (Thailand) Co., Ltd., attended the groundbreaking ceremony. On April 1st, 2019, the WHA Group of Thailand will hold the launching ceremony for the 10th Industrial Park at the same time, in order to celebrate the launch of the new plant construction project of Prinx Chengshan. 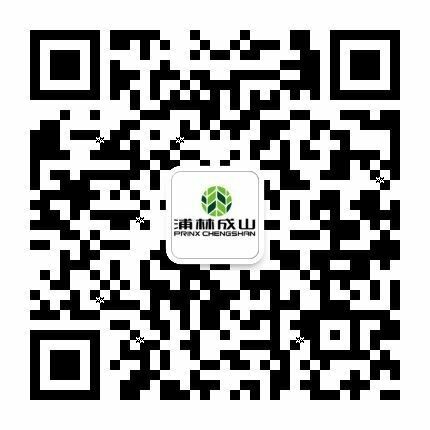 As one of the most influential tire companies in China, with more than 40 years of development, Prinx Chengshan has accumulated the leading technology research and development capability, advanced management model system, rich global market experience, excellent corporate culture and internationalized human resources team. We have deep cooperation with 30 Chinese auto manufacturing companies, including China National Heavy Duty Truck, Jiangling Motors, Dongfeng Liuqi, China FAW, SAIC Hongyan and QingLing Motors. Facing the development opportunities and challenges of the new era, Prinx Chengshan will unswervingly pursue the concept of “green and safe”, deeply cultivate the world market, continuously enhance the global influence of the brand, and strive to manufacture high-performance, high-quality, high value-added tires, and create a comfortable and pleasant experience for users around the world. WHA Corporation PLC (WHA Group) is Thailand’s leader in fully-integrated logistics and industrial facilities solutions. WHA’s operations consist of 4 business areas in Logistics, Industrial Development, Utilities & Power and Digital Platform with an integrated service offering that enables it to provide customers with turn-key solutions.